Ships from United Kingdom. Most customers receive within 6-18 days. 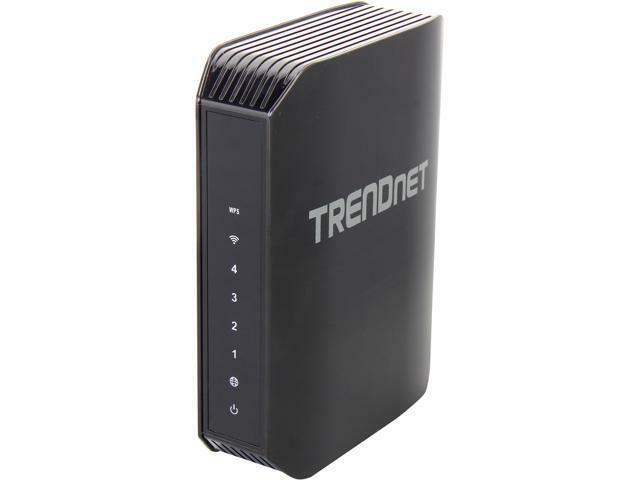 TRENDnets N600 Dual Band Wireless Router, model TEW-751DR, offers proven concurrent Dual Band 300Mbps Wireless N networking. Embedded GREENnet technology reduces power consumption by up to 50%. For your security this router comes pre-encrypted and features guest networks. Seamlessly stream HD video with this powerful router. This item is covered by Raysan Direct Return Policy. Cons: Bought to get 5ghz coverage but the 2.4ghz coverage was much poorer than the router this one was replacing even though this router was placed in the exact same location configured for the same channel and verified to be configured for full power. The coverage is very disappointing so put original router back. Other Thoughts: This review is a redo of the original where I gave this router a 2. Changing to 1 because I decided to give router another try after updating firmware. Taking away another star for two reasons, 1) though the web interface has the option of turning off each radio individually, turning off the 2.4 ghz radio also appears to turn off the 5ghz radio as SSIDs which were visible for both radios goes away. Also, after in use for a week, router decided to quit giving out iP addresses via DHCP for devices connected to the LAN ports? This router has been the worse wireless router I have ever owned. I will NEVER purchase another Trendnet product! 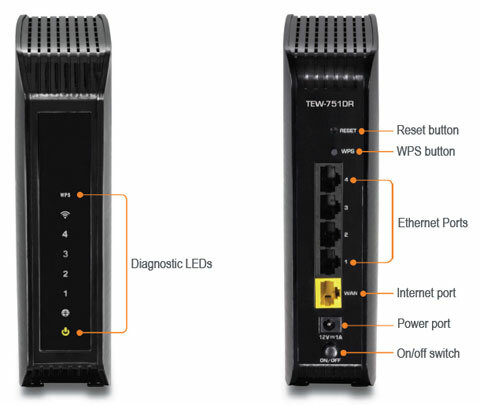 We are sorry to hear that you are experiencing an issue with the N600 Dual Band Wireless Router, TEW-751DR. Please email me at adrian@trendnet.com and we will have a support representative contact you. Please include a link to this review. Cons: with my internet connection, it is too slow at network address translation (NAT). Wired download speed would max out at 40 megabits per second. However, LAN traffic was fine and usually did a full 100 megabits per second on file transfers. Works great as WiFi access point only, with my old router connecting to modem and handling NAT. Other Thoughts: Performance often drops to nearly unusable from about 7-9pm. I believe this is just from interference from neighbors. I live in an apartment and have 30+ wifi networks in close range. I would recommend this if your wired network is solid and you just need to add wifi for a few lightweight devices like phones and tablets. Cons: I bought this on sale, and after 6 months , the 5 GHz band has already stopped working. I was hoping this would have better range than my existing matchbox sized TP-Link router - but I did not notice any better range with this one. And now the 5 GHz band has stopped working as well. And TRENDNet wants me to pay shipping for a replacement ! I don't see the point behind spending almost what I paid for it new, for them to ship me another refurbished device. I guess I am going back to my old TP-Link. I wish I had not fallen for the low low price :-( . Other Thoughts: Contacted customer service, all they could do was to guide you via phone to reset the router, when they found the issue persisted, they filled a ticked for you and never call you back. Called them again and turned out what they could do was to raise the priority of the ticket, still no calling back to solve the problem. We are sorry to hear that you had an issue with the TEW-751DR. Please email adrian@trendnet.com and we will have a support representative assist you. Please include a link to this review.